Muse is a Ruby domain-specific language for creating digital music. In this hands-on webcast presentation by Sau Sheong Chang author of Exploring Everyday Things with R and Ruby, we talk on how Ruby can be used to create digital music through a simple analog software synthesizer, either transcribed from existing music scores, or algorithmically created out of data from various sources. Don't miss this informative presentation. Sau Sheong Chang has been in software development, mostly web applications and recently cloud- and data-related systems, for almost 17 years and is still a keen and enthusiastic programmer. He has been active in programming with Ruby for the past 6 years and recently started with R for the past year. He is active in the local developer communities, especially in the Singapore Ruby Brigade. 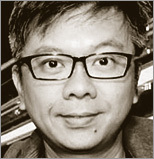 In April 2011 he co-organized the first and largest Ruby conferences in Southeast Asia, the RedDotRubyConf. He has published 2 books, the first in 2008 titled Ruby on Rails Mashup Projects and the second in 2010, titled Cloning Internet Applications with Ruby. Both books were published by Packt Publishing. Mr. Chang is currently the Director of Applied Research in HP Labs Singapore, with research focusing on cloud computing and big data. His previous roles include a stint as the CTO of a popular online gaming company and Director of Engineering for Yahoo! Southeast Asia. More detailed information can be found from http://www.saush.com/profile.